As we are anxiously waiting for Terror's impending album release (your quick friendly reminder: "Total Retaliation" street date is 28/9/2018 on Nuclear Blast records, pre-order here), the CA outfit has dropped one more touring announcement. 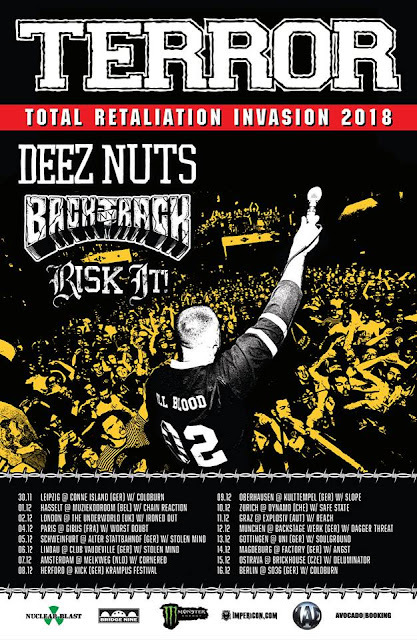 Starting November 30th in Leipzig, the tour will also include Deez Nuts, Backtrack and Risk It!. Sounds good, doesn't it? Don't sleep on it.